The Dayton Dragons were the top draw among Single-A teams and ranked seventh overall in Minor League Baseball this year. MiLB’s attendance rankings show all of the top ten teams are Triple-A clubs, with the exception of the Dragons. Thus, Dayton had the best attendance of any MiLB club below the Triple-A level — something the team has done for 11 consecutive years. The Dragons have had the highest attendance of any Single-A team in each of their 17 years of existence. 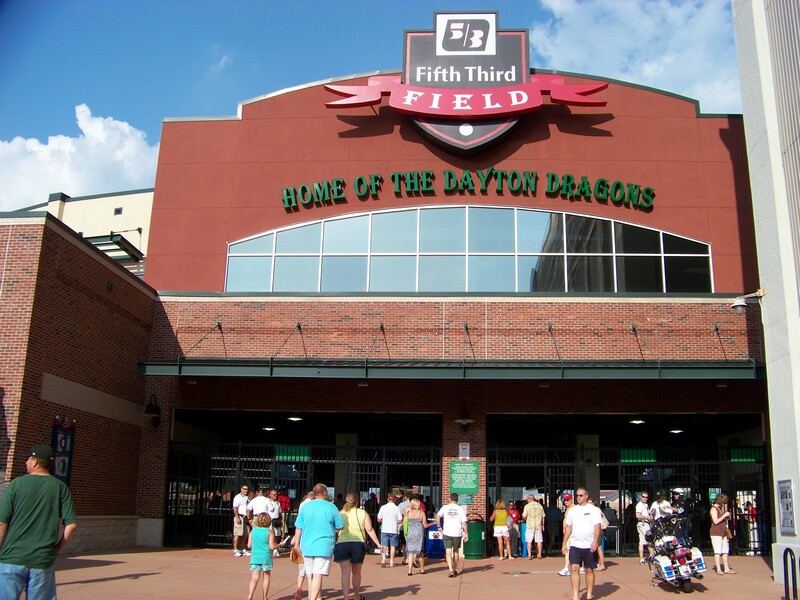 The Dragons drew a total of 548,574 fans to Fifth Third Field this year, for an average of 8,188 fans per game. Every home game for Dayton was a sellout, which has been the case in every Dragons season. The team has a sellout streak of 1,188 consecutive games, the longest such streak in professional sports history. The Dragons have been a Reds affiliate for their entire existence. Dayton is located about an hour north of Cincinnati. You can see the total and average attendance figures for every Midwest League team here. This entry was posted in Dayton Dragons, Midwest League. Bookmark the permalink.